White people, at least some of us, have always liked Black folks music. And some among us have been promoters. Before the civil war, slavemasters allowed enslaved musicians and dancers to gather each Sunday on Congo Square in New Orleans, where the whole town enjoyed their music. Bosses in prisons, cotton fields and labor camps were happy for workers to sing to keep time with the swings of a hammer. The problem: Such bosses always wanted to control Black folks' labor and lives. Including their music. Not enough of us objected to that. Because, as Muddy Waters famously said, "the Blues had a baby and they named it Rock n Roll," I want to talk this week with rock musicians and fans. Remember, rock was invented by Black musicians: Chuck Berry and Johnnie Johnson. Ike Turner. Fats Domino. Also Chicago bluesmen like the late Eddie Taylor Sr. who put the lump-de-lump behind Jimmy Reed. Rock was a sped-up version of blues. Rock bands and blues bands consist of the same instruments—guitar, drums, bass, and maybe a piano, harmonica, sax. So—How did "rock" get to be "white"? You might say it started in Memphis, with a brilliant music recorder and promoter, Sam Phillips and Sun Records. He recorded blues giants like Howlin' Wolf, who he termed his greatest discovery. But then he found some biased radio DJs would not play a Black artist's records. If only he could find a white guy to sing the Black style of rock n roll music, Phillips thought. Voila! He found Elvis Presley—his second biggest discovery. Elvis made millions for record companies. The great Black artists who invented blues and rock n roll were left with little promotion. And sometimes white rock n roll bands took their songs without permission or compensation—a subject too long for this week's column. Rather, we will talk about Rockers Who Did Right. For example, folk-rocker Bonnie Raitt in the 1970s re-introduced the 1930s blues star Sippie Wallace . 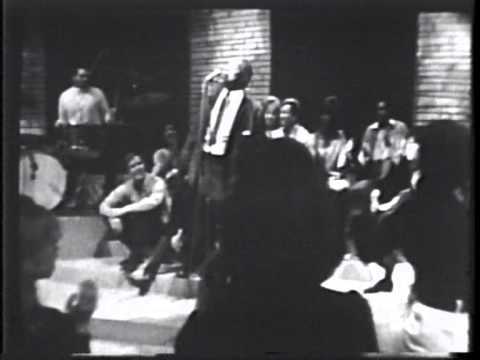 And the Rolling Stones insisted that Howlin' Wolf take the stage on the TV show Shindig, May 1965. At 1 minute, Keith Richards and Mick Jagger tell the host, Steve Goodman, "Why don't you shut up now and let's hear Howlin' Wolf." At the 4 minute mark, Wolf, in his masterpiece "How Many More Years," sings: "When I'm doin' right, you wouldn't believe a word I say/ You think I'm crazy, but I can't let you have your way." Ferocity was part of his act, but also part of Wolf—an independent Black band leader who took no mess. Could he have been speaking in his song to those who under-promoted him? If not for the Stones, we might never have gotten a chance to hear him express himself on national TV. That was 50 years ago. This is now! On a national level, Blues acts are struggling even more for promotion. And aging rockers and fans are wondering if old school blues-based rock is being intentionally phased out of the music business. 1. Playing in a festival? Ask the promoter to include a real Chicago blues act in the lineup. Rock fans generally love blues. It's a great change of pace and return to the roots. * The goal is to increase the audience. 2. If your band covers a blues tune like "The Sky is Crying", mention the original composer or famed singer—in this case, Elmore James, whose son Elmore Jr. still plays in Chicago. Or "I'm Your Hoochie Coochie Man", written by Willie Dixon, whose granddaughter Tomiko is writing and singing songs today. This is just a matter of respect. 3. Invite a local blues singer as a guest with your band. Pay them. Again, you're looking to broaden your audience. Good karma brings more good karma. 4. If you're a record collector who thinks the blues performers of today can't duplicate the supreme works of Howlin' Wolf, Muddy Waters, Willie Dixon, Magic Sam, etc.—question your belief and come to a live blues show. (For a suggestion, see my P.S. below. But there are many!) Remember, Beethoven, Bach, Mozart, etc. created European classical music and we still enjoy other people playing it today. So why not think of blues a a living art form and support the artists! That is all . For now! * Disclaimer: I publicize a Chicago bluesman, Larry Taylor. www.larrytaylorchicagoblues.com I'm not paid to write this blog, and I'm free to suggest you consider him. Larry has spoken out about the low pay and under-promotion of blues men and women. He conducts himself as a true professional and carries the true Chicago blues and soul tradition in his singing and drumming. Check him out: www.larrytaylorchicagoblues.com And after Larry is hired, he can recommend a whole bunch of other good blues people.